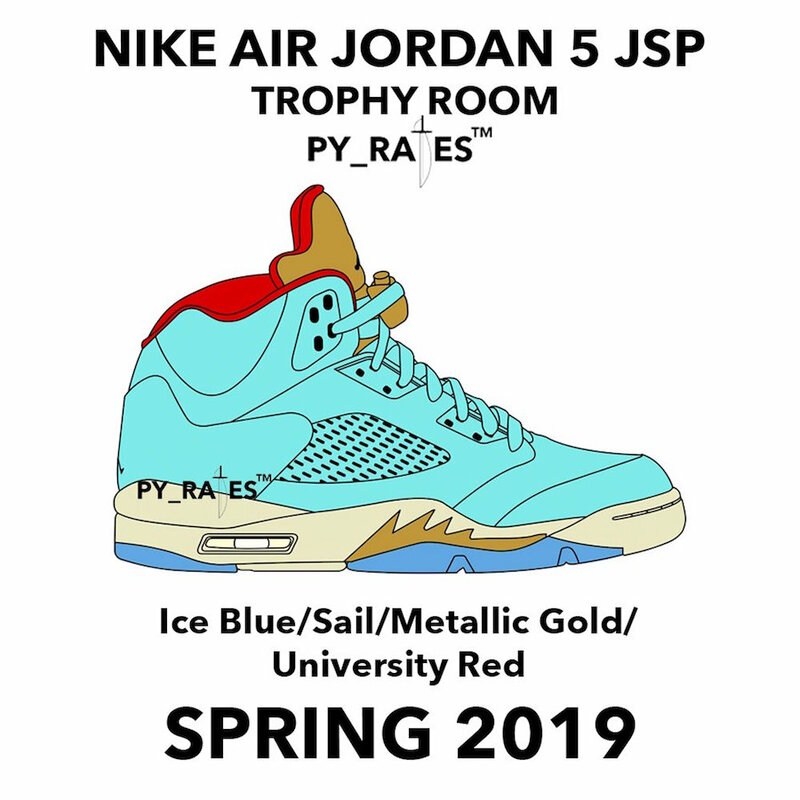 UPDATE: Following Marcus Jordan trying to debunk info that there is an upcoming Trophy Room x Air Jordan 5 collab in the works, leaker @py_rates provided us with more details. Now it appears that there will be two different Air Jordan 5 “Trophy Room” colorways releasing. One dressed in “Ice Blue/Sail-Metallic Gold-University Red” and the other in “University Red/Ice Blue-Sail-University Red” that is said to be a friends and family exclusive. A release date is expected sometime this Spring 2019. No leaked photos have surfaced, so stay tuned for first looks and more info to come. UPDATE: After SHOF leaked info about an upcoming Trophy Room x Air Jordan 5 collab, Marcus Jordan took to Twitter to address the rumor. According to his tweet, the info that was provided is inaccurate.